I’m a sucker for anything in pretty packaging! *Update: The perfect oatmeal is not so perfect. 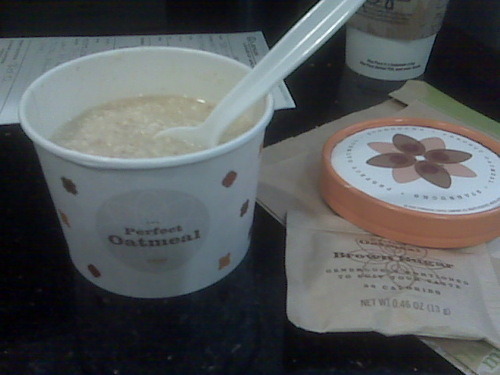 Props to the marketing team at Starbucks for repackaging cheap oatmeal and get suckers like me to pay $2.15 for it!